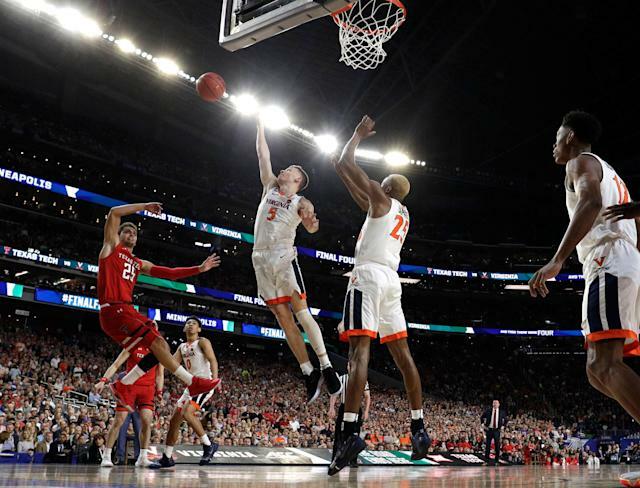 Monday’s national championship game was billed as a slugfest between a pair of defensive juggernauts with little promise of offensive fireworks. The game featured the nation’s No. 1 ranked (Virginia) and third-ranked (Texas Tech) scoring defenses, while the Red Raiders are tops in defensive efficiency with the Cavaliers ranking sixth. Both teams arrived in the NCAA final after putting on master clinics on defense in the NCAA tournament. In the game’s opening minutes, it lived up to its billing, with both teams struggling to score early. But Texas Tech got the worse end of the deal, failing to score a field goal until deep into the first half. The Red Raiders needed 7:22 seconds to score their first field goal, a 3-pointer from Davide Moretti that pulled the Red Raiders within 9-6 at the 12:39 mark of the first half. The Red Raiders missed their first seven field goals and managed just one in their first 15 possessions. Thankfully for fans of watchable basketball, Morretti’s 3-pointer opened a relative flood gate of scoring as the Red Raiders found their stride from distance, hitting 5-of-12 from behind the arc in the first half to make the game competitive with the Cavs building a 32-29 halftime lead. 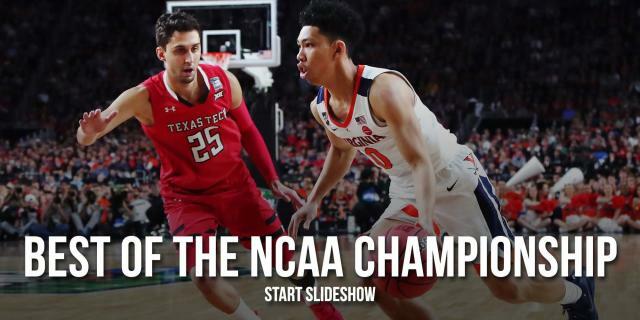 While both defenses were strong throughout, the offenses woke up to trade blows down the stretch before Virginia ultimately prevailed in overtime, 85-77 for its first national championship. Virginia and Texas Tech combined for 21 3-pointers on the night to mark the first time in championship game history that both teams connected on 10 3-pointers.